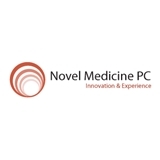 Novel Medicine PC (Rego Park) - Book Appointment Online! At Novel Medicine, our mission is to safeguard and promote the health and well-being of every patient. We are committed to every patient’s unique needs, offering a comprehensive array of services for everyone. We provide expert care using advanced technology, all designed to make each patient feel cared for, healthy and empowered to make the best health care decisions. Located in the heart of Forest Hills, Queens, Novel Medicine is more than an internal medicine office. Doctor Rita Goldvug has invited the best cardiologist, neurologist, physical therapist, and gastroenterologist to create a top-notch team that can help patients on the spot. He paid attention and was very informative and detailed. Helped alot with my runners knee in both knees.